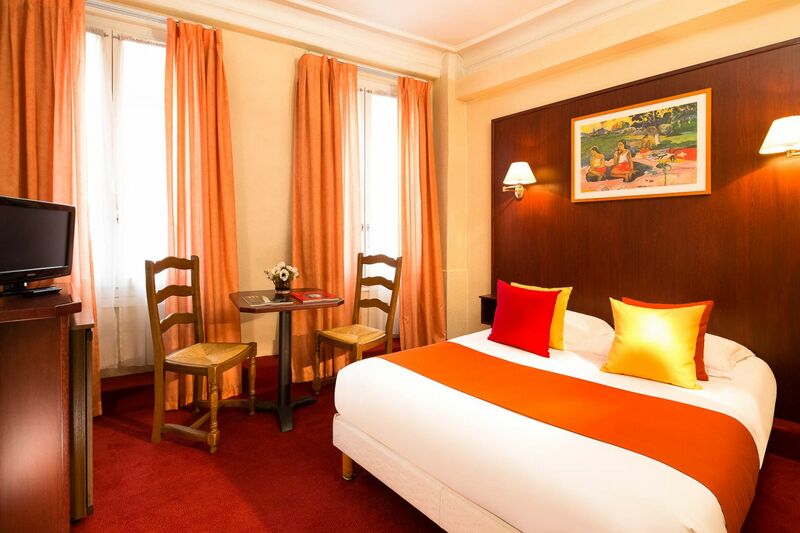 Whether visiting for business or pleasure, why not enjoy our hotel in the heart of Paris? 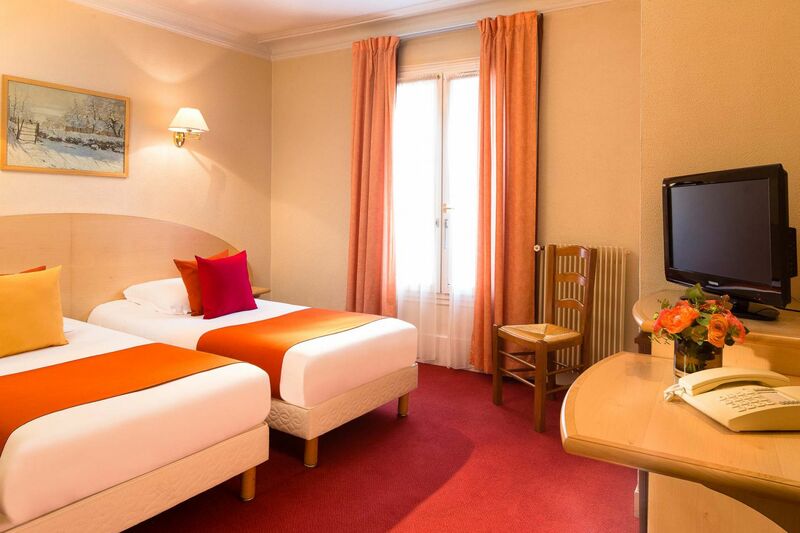 Our fully renovated and perfectly equipped rooms provide all the comfort you could wish. 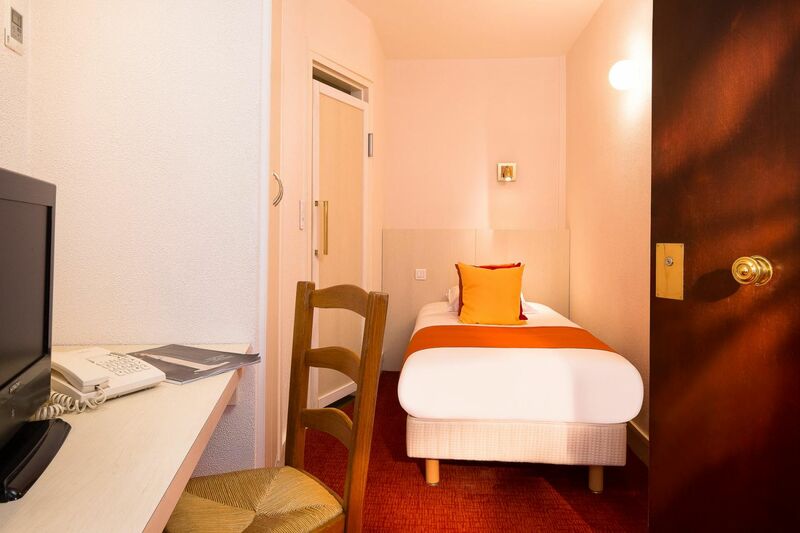 From singles to connecting rooms by way of family rooms, at our hotel you can enjoy a pleasant stay in Paris, on your own, as a couple, with family or friends. Special low budget. This room offers all the comfort of a classic room but in a smaller size. 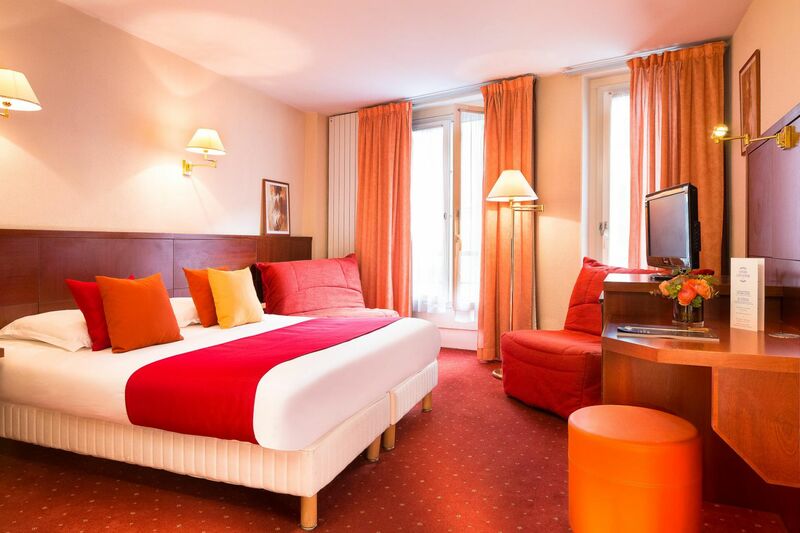 Equipments : one single bed 80x190cm, shower and WC, air-conditioning, flat screen TV, desk, minibar, kettle. 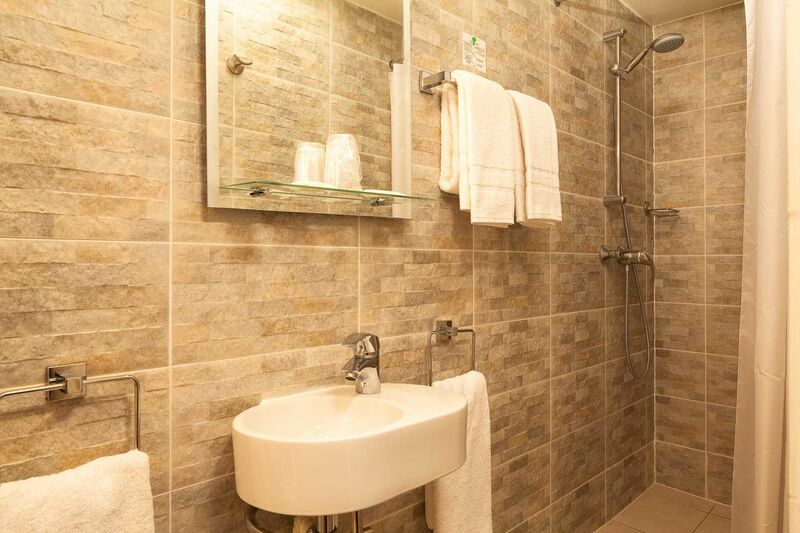 This room for one person has a single bed and en-suite shower and WC. 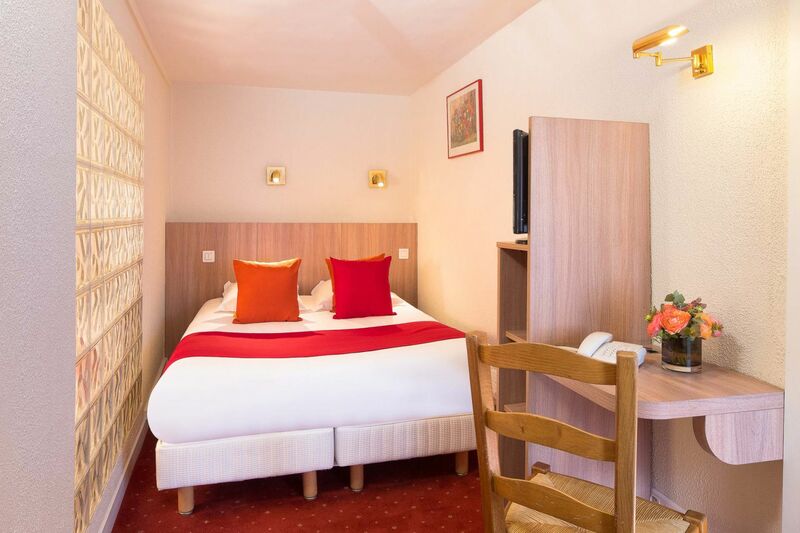 Furnished with air-conditioning, free Wi-Fi, flat-screen TV (French and international channels), direct-dial phone, desk, minibar, hair-dryer and complimentary products. This room for one or two people has a double bed and en-suite shower and WC. 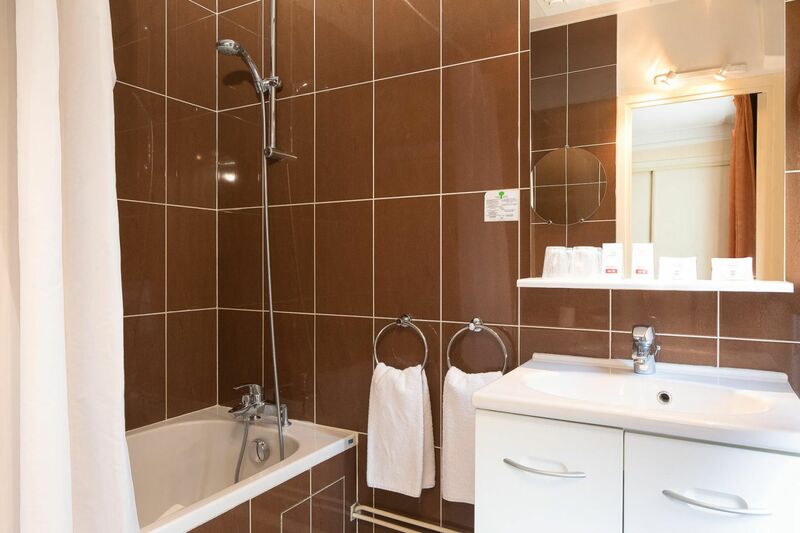 This room for one or two people has a double bed and en-suite bathroom with shower, bath and WC. 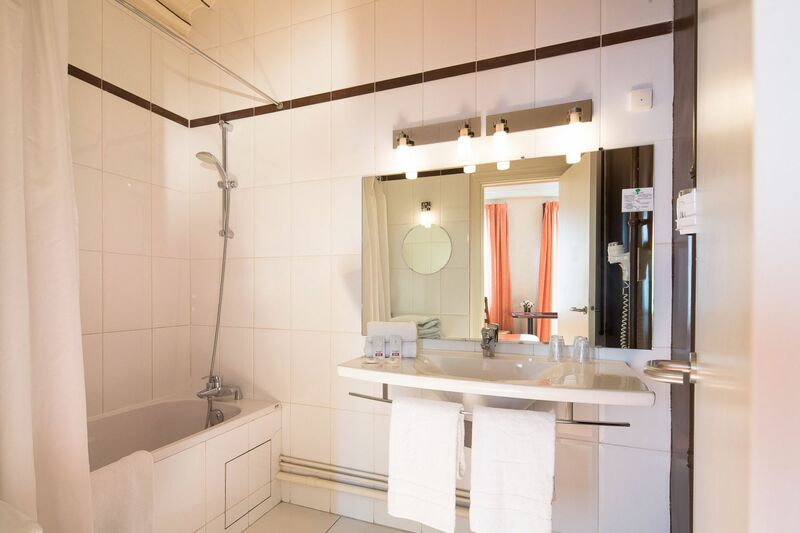 This room for two people has two single beds and en-suite bathroom with shower, bath and WC. 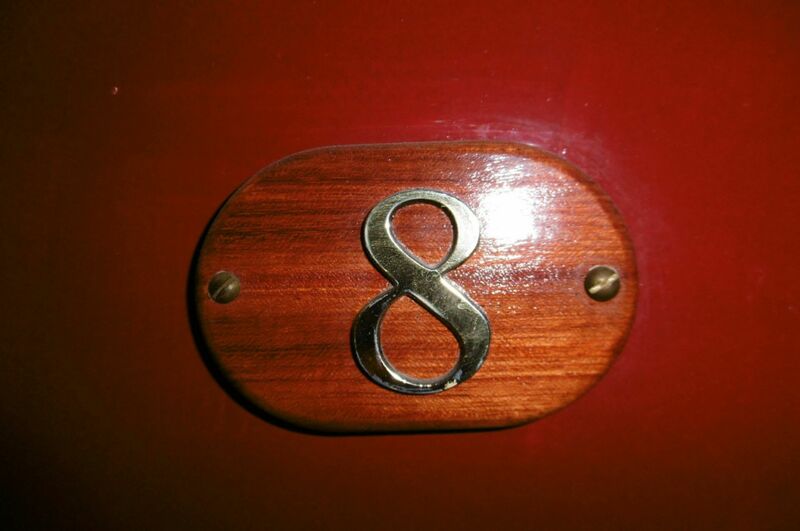 This room for three people offers the choice of a double bed + 1 single or 3 singles. Bathroom with shower, bath and WC. 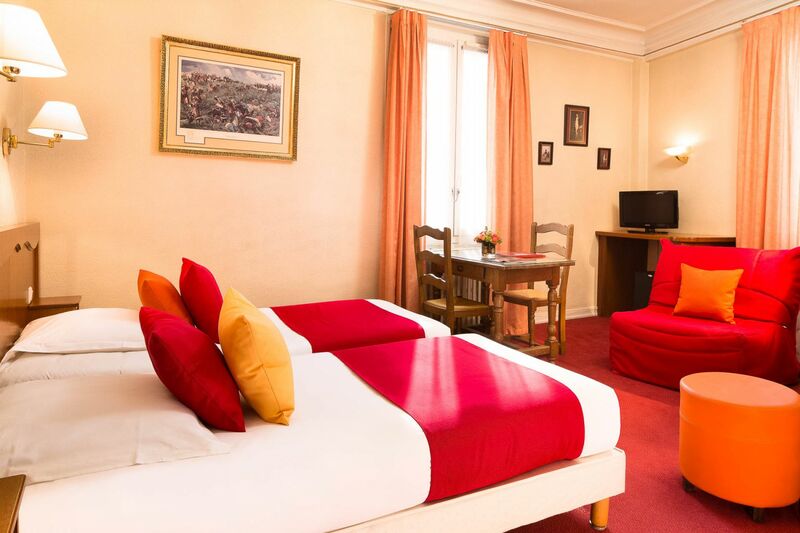 This room for four people offers the choice of a double bed + 2 singles or four singles. Bathroom with shower, bath and WC. 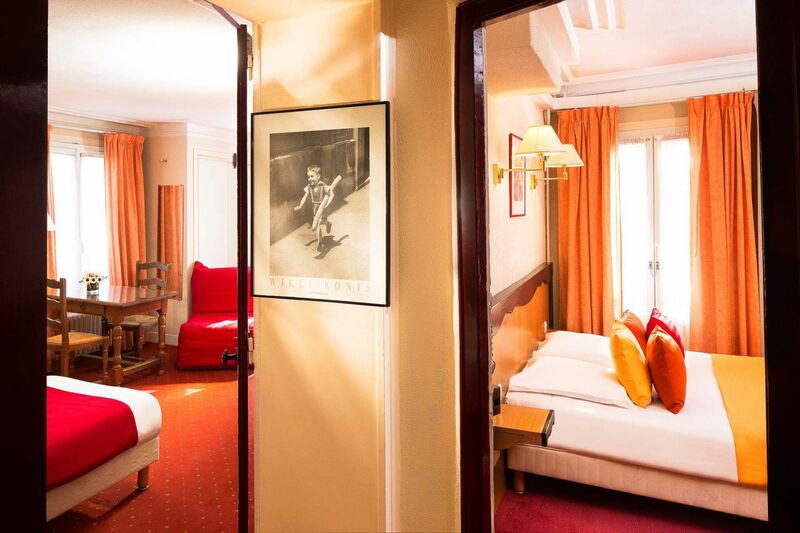 This superior suite for 4, 5 or 6 people comprises two interconnecting rooms: one with a double bed, the second with two, three or four singles. 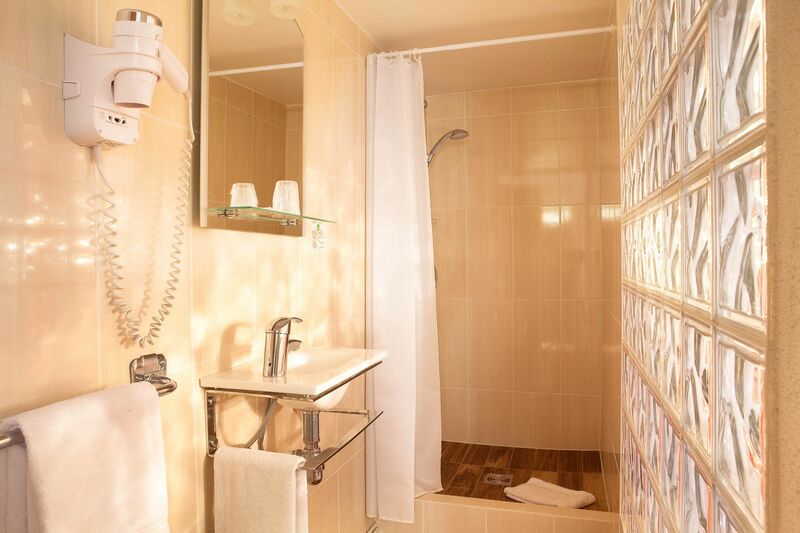 Bathrooms with shower, bath and WC.